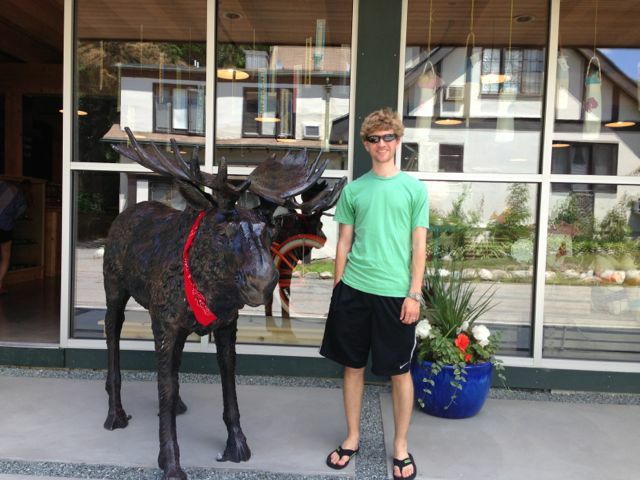 Days 8-9: Camping in Maine + a Contest! Hello there! Did you miss me? I was in the depths of the wilderness, fighting off predatory bears with my bare hands and rubbing sticks together to make fire. 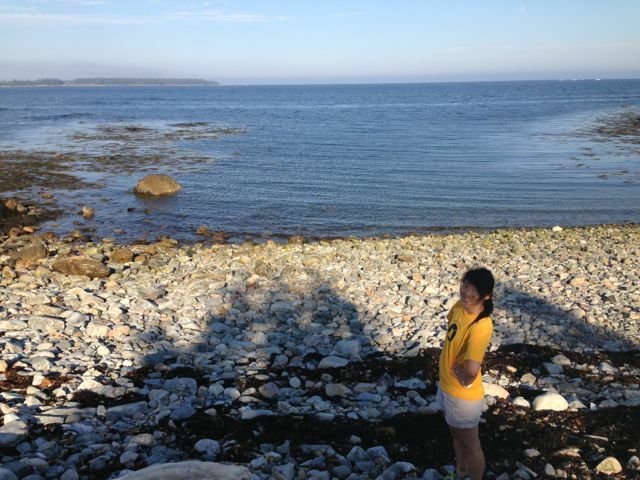 Actually, I was just away from cellphone service while we camped in Cobscook and Acadia National Parks in Maine. After leaving St. John, we crossed back into the US and arrived in the tiny town of Lubec, Maine, which is right outside Quoddy Head State Park. Lubec is a tiny town (with five restaurants! ), but with tons of charm and the essentials (ice cream). It is hosting its first International Marathon tomorrow–I may have to consider this in the future. 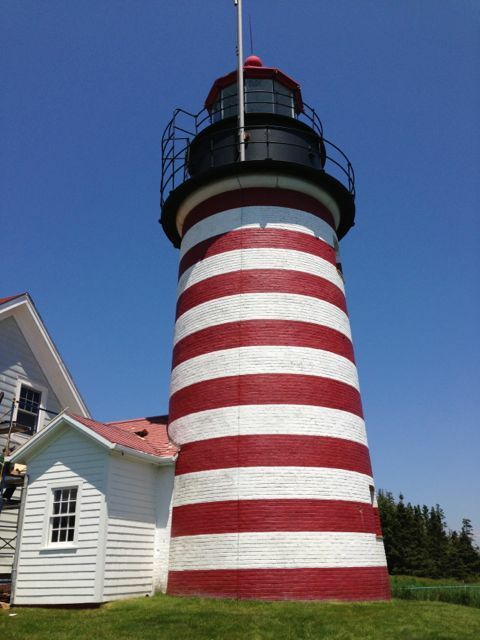 About four miles outside the town, you can visit the adorable candy-striped West Quoddy lighthouse, situated on the easternmost point of the United States. 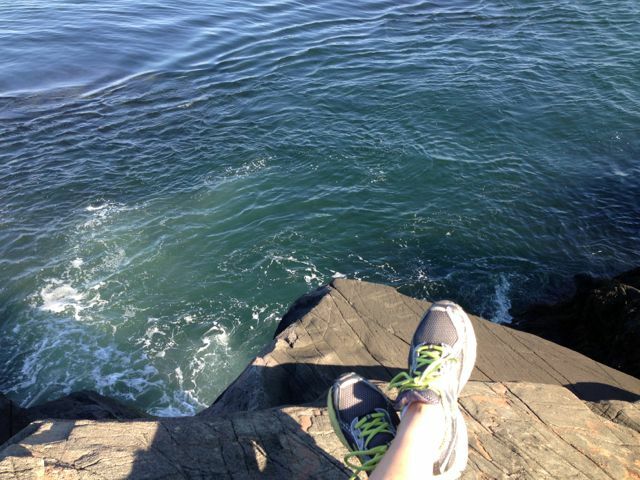 Harrison visited Quoddy Head State Park fifteen years ago. 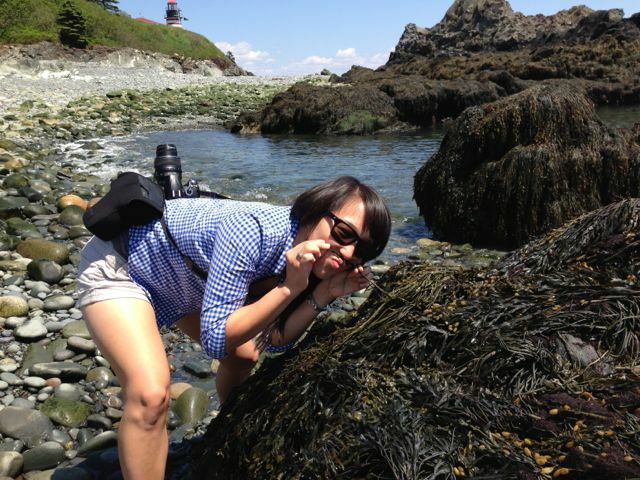 My last visit to Lubec was also a long time ago. 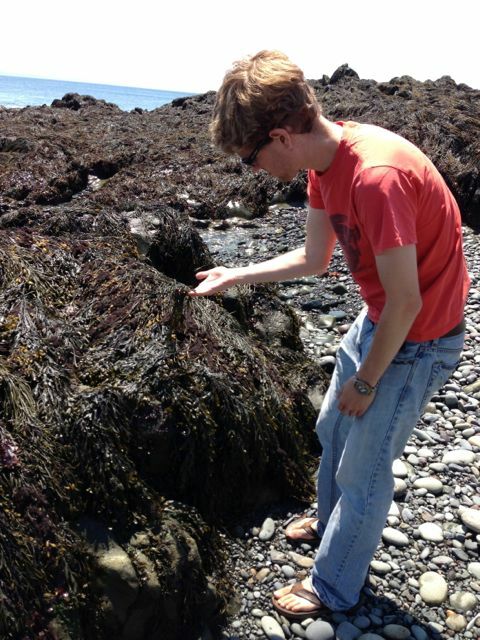 There is a rock beach with lots of seaweed and a “violent” surf that thunders in against the rock cliffs. It’s pretty impressive. I would not recommend swimming in late June at Quoddy Head State Park. 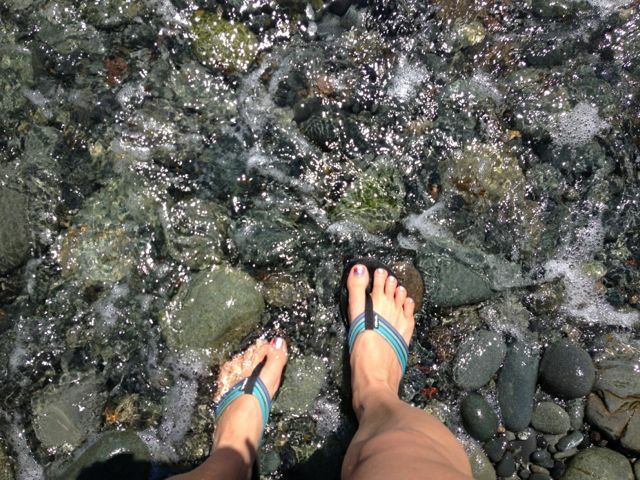 The water in the Bay of Fundy is frickin’ cold! I’m a sucker for nostalgia, so visiting Quoddy Head State Park was a real treat. I ran up and down the paths, alternating between saying, “I LOVE THIS! 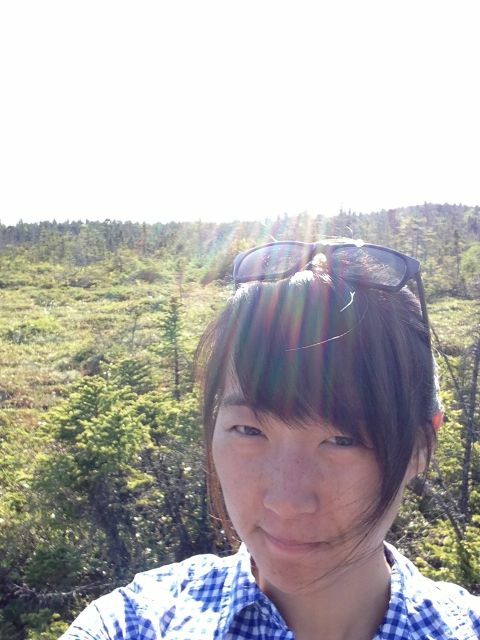 IT’S SO BEAUTIFUL!” and taking in large lungfuls of sea air mixed with the scent of balsam fir trees. When I’d had my fill of nostalgia coastal memories, we headed to Cobscook State Park, where my dad claims to have had the best camping of his life. 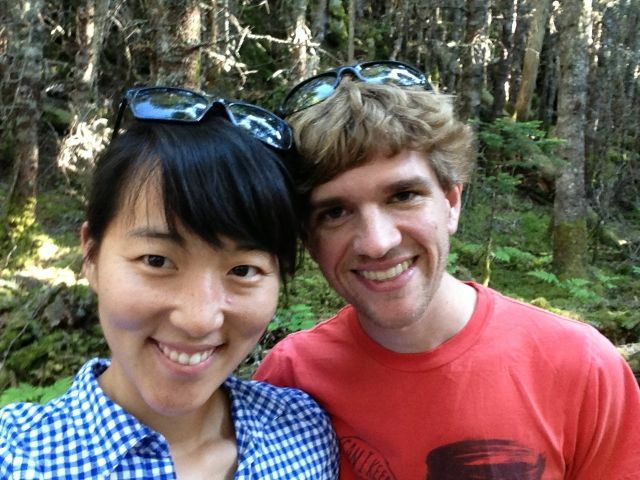 We finally got to camp, and I am delighted to report that we survived our first camping adventure with minimal issue. 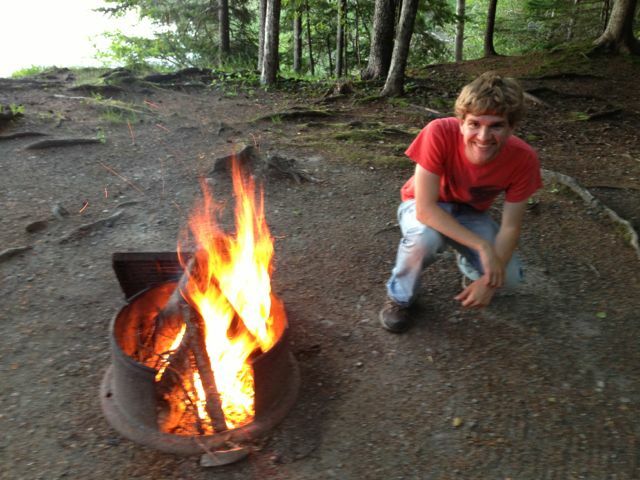 We even made a fire “from scratch” (=We got a pack of free matches at the Lubec IGA.). Whatever, no judgment. Indulge Harrison in his feelings of manliness. You can’t see from the picture, but our campsite overlooked Cobscook Bay, which also has a rock beach and seaweed, as well as mudflats where campers can dig for clams. (I enthusiastically proclaimed that I wanted to dig my own peck of clams, only to realize that I have no idea what to do with said claims once they are unearthed.) At least we went to sleep in our extremely cozy two-person tent to the smell of salt air. Oh right. Bugs (and also spiders). I hate them. HATE THEM. Mosquitoes think I taste delicious, and I swell up a lot when I get bitten. (Also, like a four-year-old, I cannot stop itching any bites once I get them. I had very scabby legs as a child.) Fortunately, my dad let us borrow these “mesh covers” (=mesh drawstring bags) to keep out bugs. 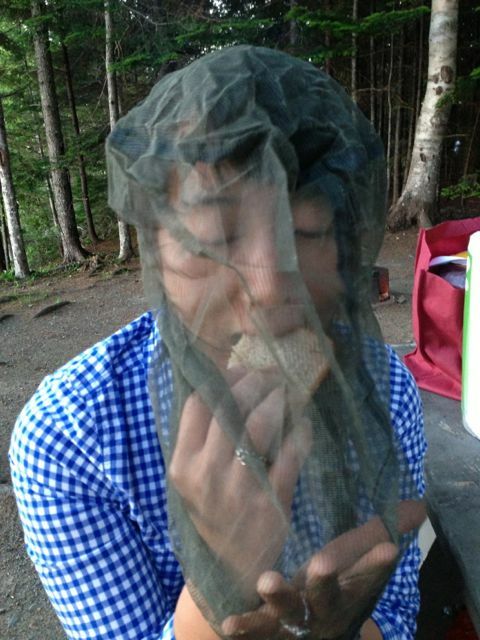 In addition to keeping out the monstrous mosquitos and no-see-ums, it also did a good job keeping my sandwich out of my mouth…until I got creative. 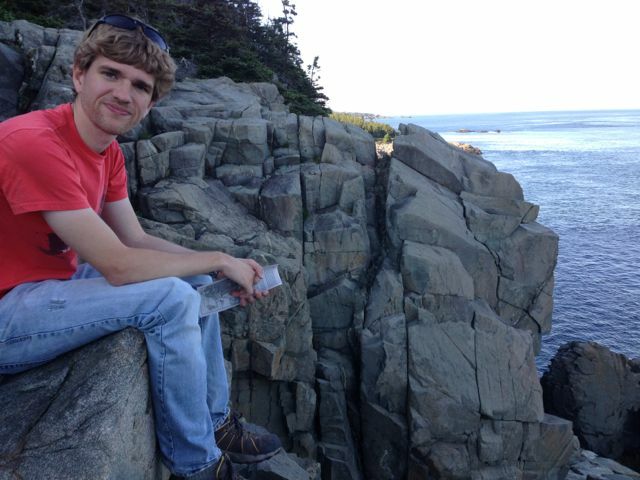 We did a short hike in Acadia to look out over the water [Unfortunately, those pictures are on my DSLR, the cord for which I left at home. If you have a USB cord that connects to a Nikon port, I might need to borrow it.] and then headed to the smaller of the two Acadian peninsulas to set up camp at Seawall Campground. I highly recommend this campground. The bathrooms are pristine, and there is a nice, smooth paved road around all the loops. It was great for taking an after-dinner hike to spy on see the other campers, many of whom were taking family vacations with pop-up trailers and kids on bikes (Nostalgia alert!!!). The only downside is that the campground has no working showers. You can pay for hot showers at the nearby camp store. 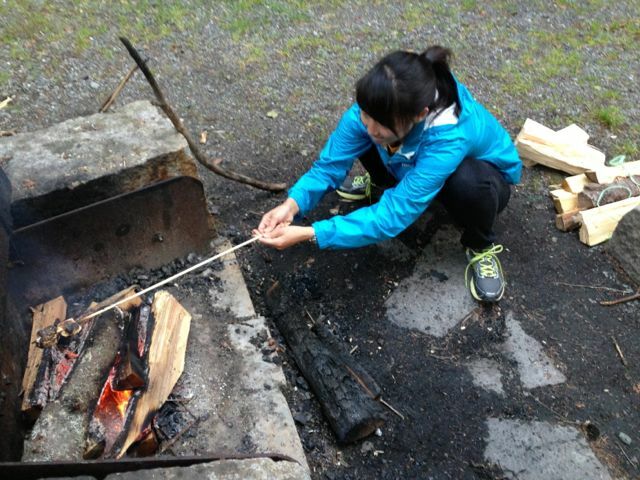 And, of course, we engaged in the most time-honored of camping traditions: Making s’mores! So, okay, maybe we’re not the most daring and rustic of campers, but I think we did an okay job. We didn’t burn the campsite to the ground, and we successfully built and broke camp twice. Finally, we thought we would spice things up on the blog by adding a small contest. 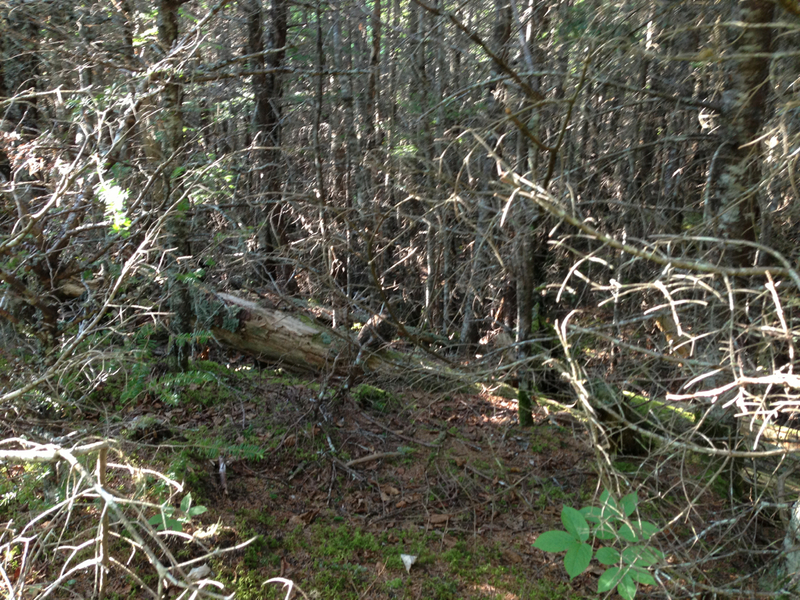 There is something hidden/camouflaged in this picture we took at Quoddy Head State Park. What is it? E-mail your guess to info[at]weddingvictorytour.com with the subject line “Quoddy Contest” by Sunday, 6/23, at 10:00pm EST. The person with the most specific and accurate guess will be awarded a cool prize (something yet to be determined–a souvenir from our travels)! Now, I’m writing from the adorable beach town of Hull, MA, just outside of Boston, where we are staying with my dear friend Ashley’s parents. But this post is getting long already.